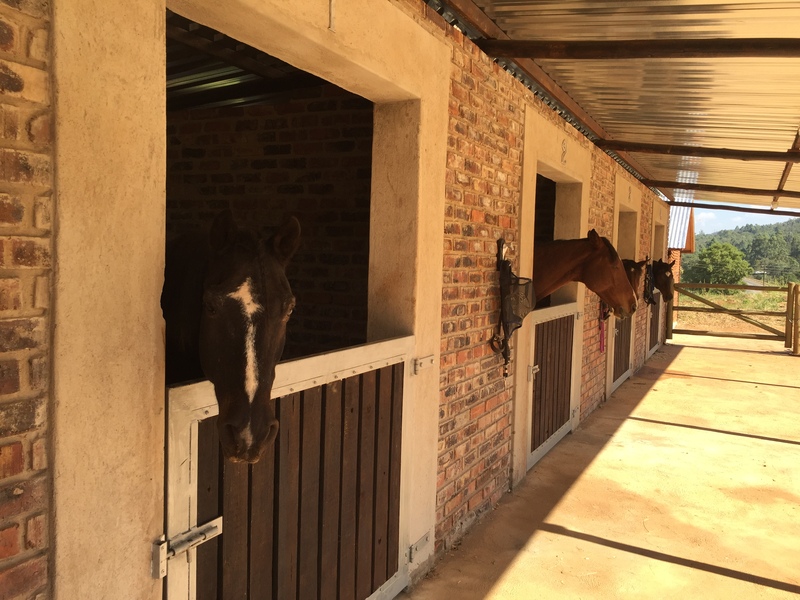 The Pfunanane Equestrian programme was started on the Pfunanane farm in 2015 with the construction of our stables, riding arena, and pastures, and the purchase of four safe and patient horses. 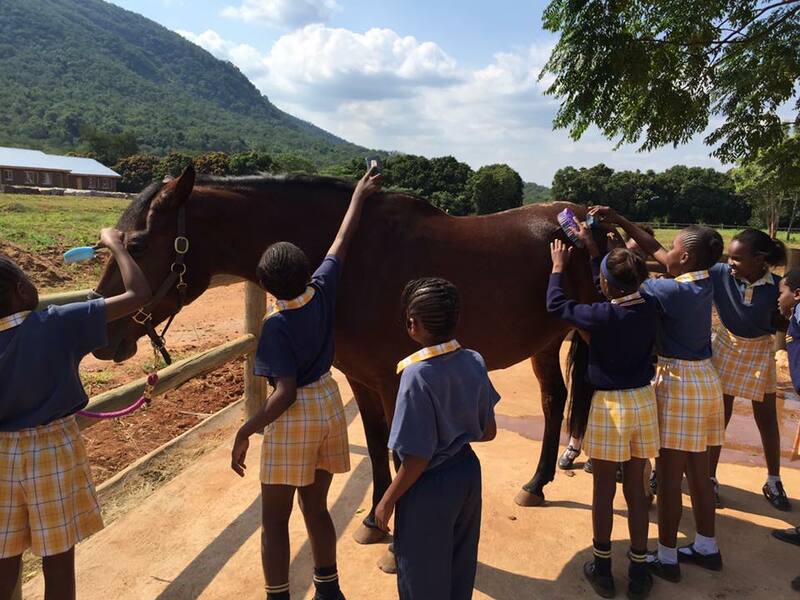 Run entirely on donations, the equestrian programme uses horses as therapy for the children at Pfunanane who struggle emotionally, academically, or physically. Some have faced incredible trauma, and others have a hard time with classroom discipline, or struggle to keep up with their classmates academically. 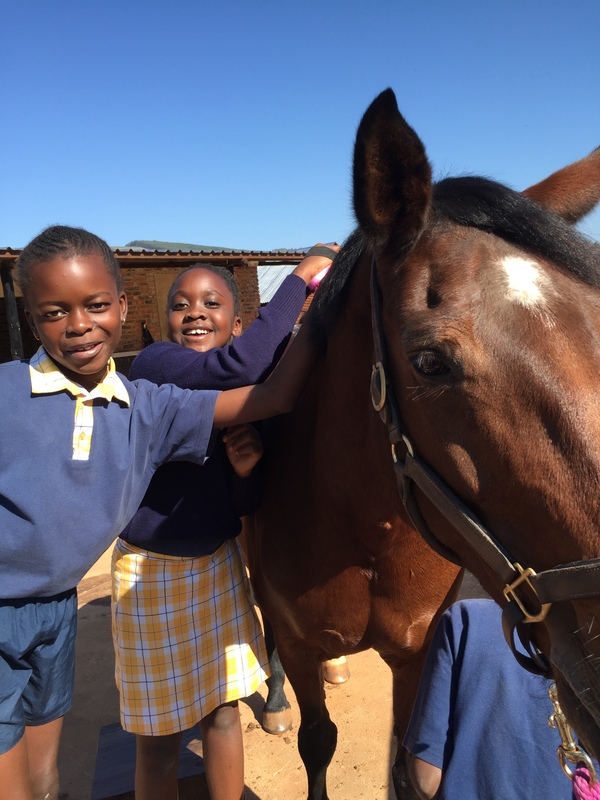 Missionaries Sarah Terwey and Shannon Hreyo spend time helping the children overcome their fears and learn to trust the horses. 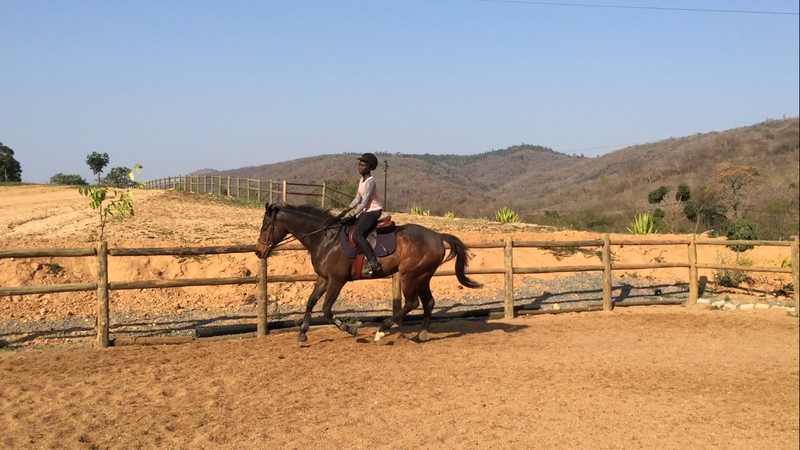 Confidence is built by the children learning to control a 1,000 pound animal, and trust that they will take care of them. 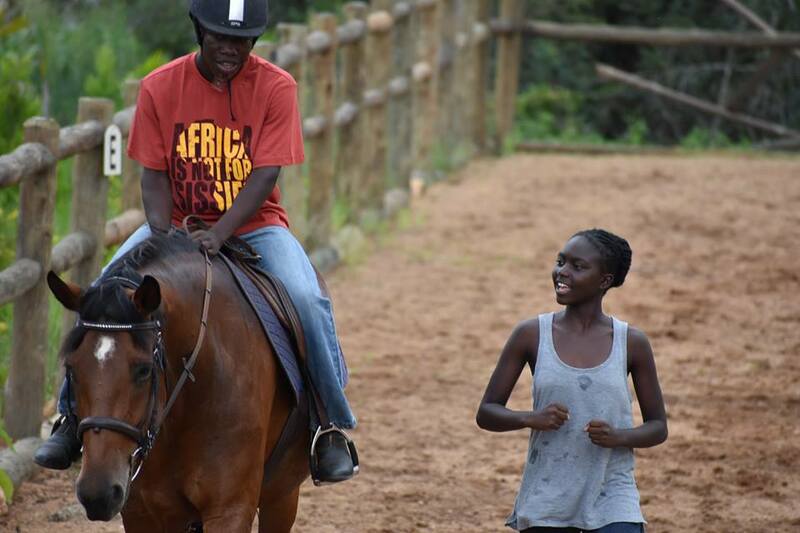 The motion of the horses not only calms and soothes them, but helps build strength and coordination in children struggling with motor skills, especially in some of our children with illnesses like HIV and cancer, where more strenuous exercises would be too hard on them. 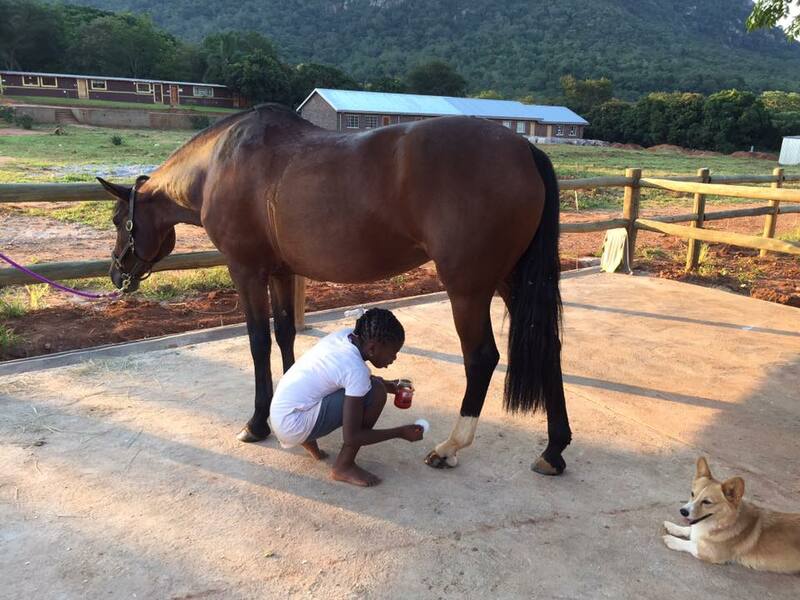 Children learn empathy and kindness in that they must be gentle with the horses, yet firm and assertive to tell the horse what they want. 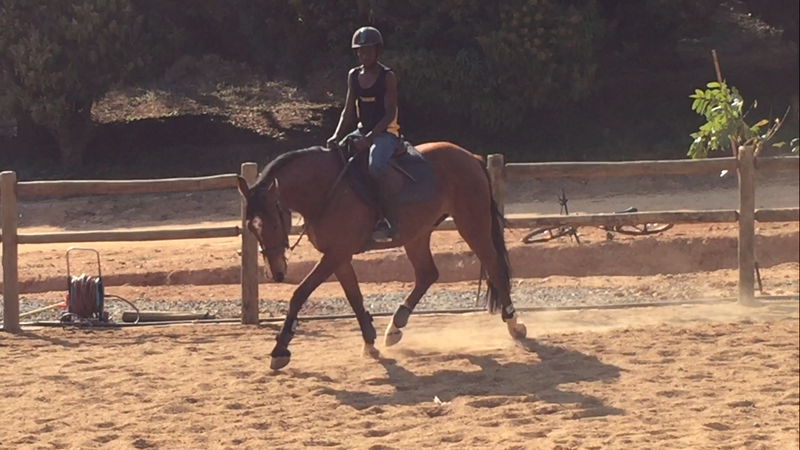 They learn listening and direction-following skills when riding as well, and they must listen to the instructor in order to be successful. 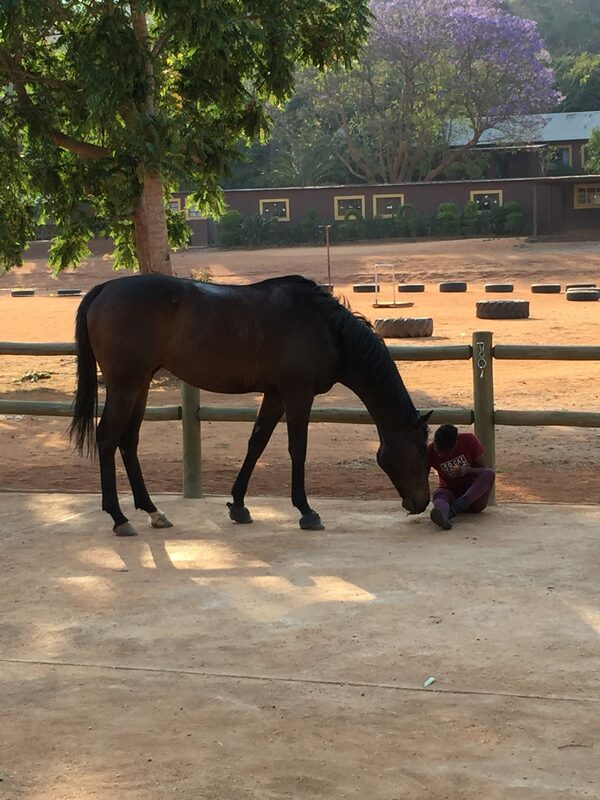 They also learn to overcome their fears and insecurities, as working with large animals is usually something they have never done. 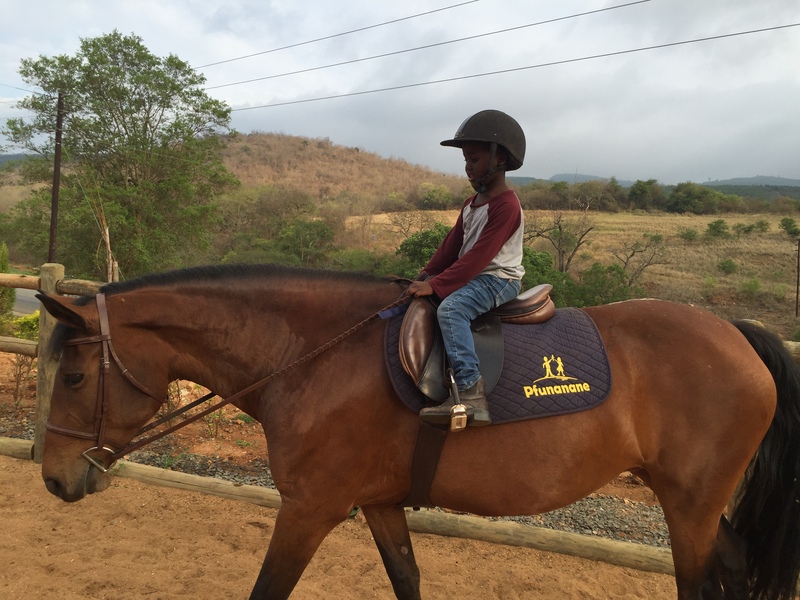 Horseback riding is also proven to benefit children academically, and has been shown to boost intellectual ability. 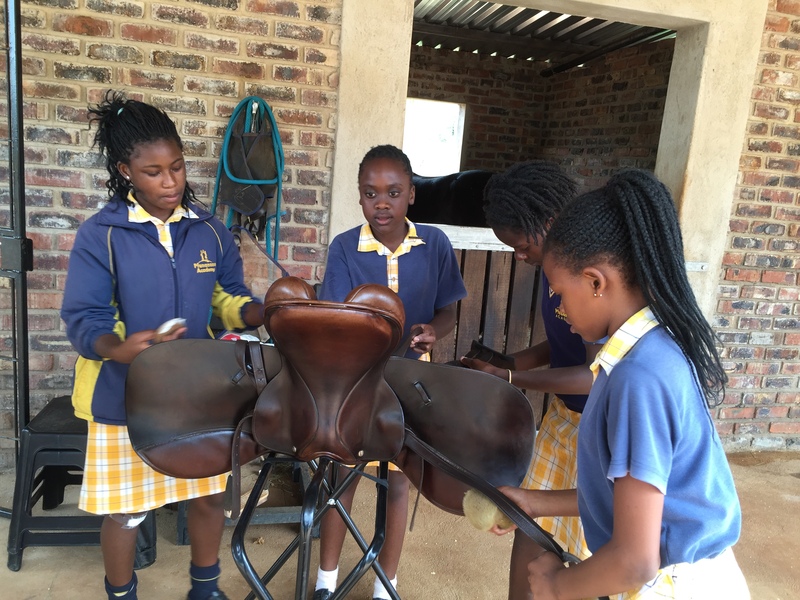 The unique programme is one-of-a-kind among schools in South Africa, where normally only the wealthy are able to ride. 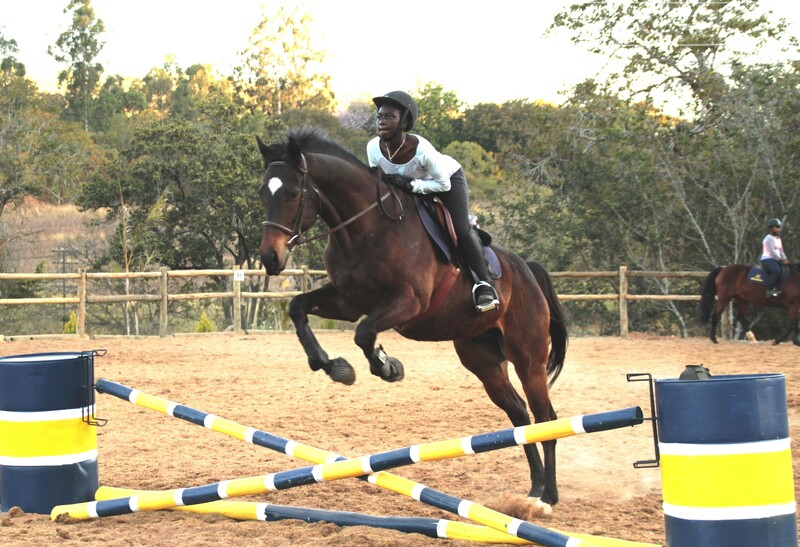 Several of Pfunanane’s more advanced riders have now formed an equestrian team and plan to begin competing in 2017. 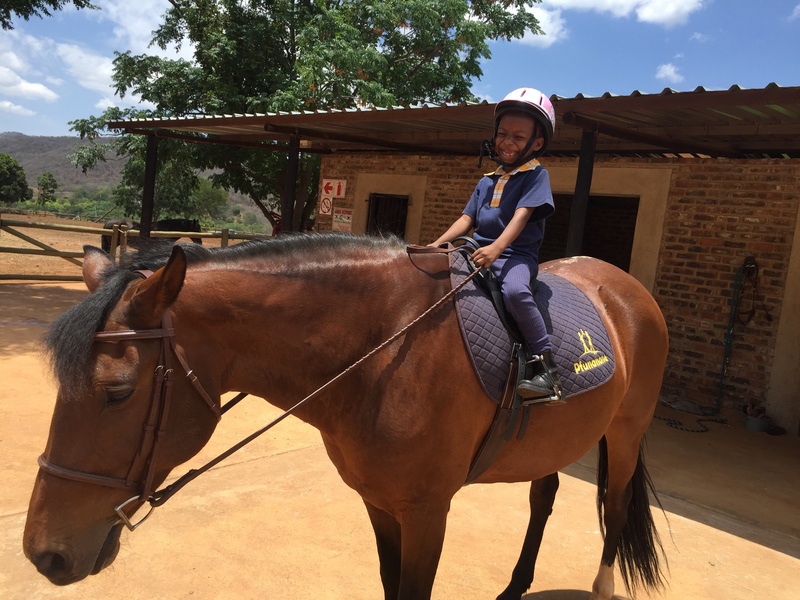 Still in its beginning stages, the equestrian programme is one we hope to see grow in the future to accommodate even more riders, and expand to include things like holiday camps for our sponsored children. We are thankful for this unique opportunity for our children and are excited to see the ways it has benefited our children already! 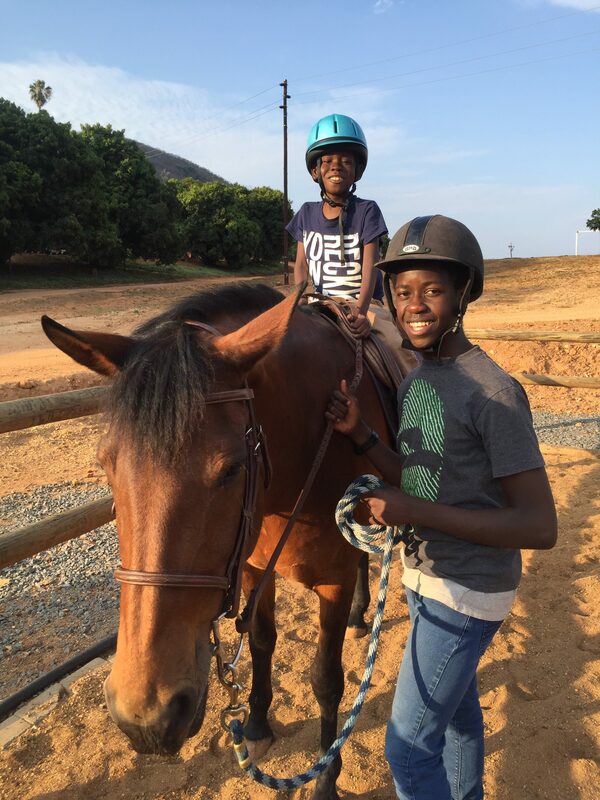 We are always looking for experienced equestrians to come help with the program for long or short term, and we always welcome donations, as it is an expensive program to maintain! 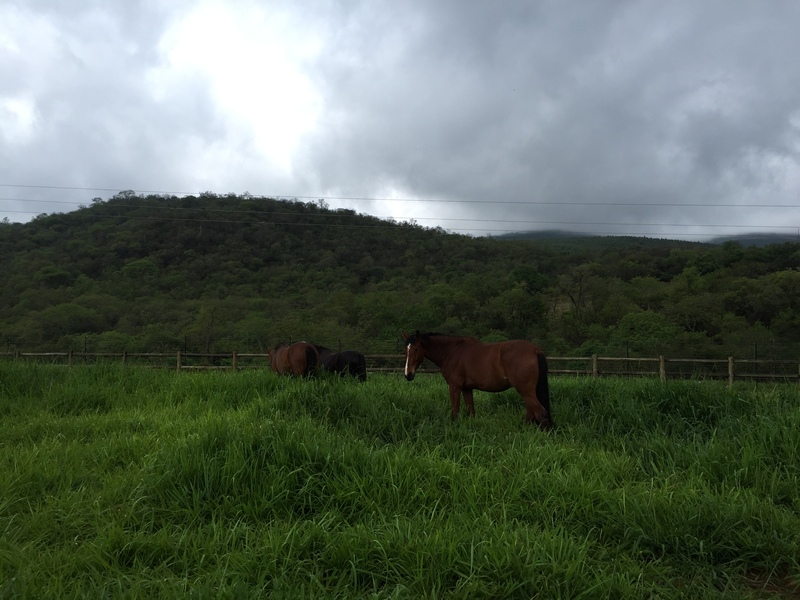 Please contact Sarah Terwey at Terweyfam@gmail.com if you are interested in helping in any way.